Stories from a medic serving with the highly classified SOG U.S. Special Forces unit in Vietnam. Elite units carried out many dangerous operations during the Vietnam War, the most secret and hazardous of which were conducted by the Studies and Observations Group, formed in 1964. In the years since the Vietnam War, the elite unit known as SOG has spawned many myths, legends and war stories. 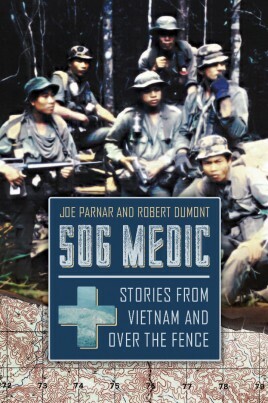 Special Forces medic Joe Parnar served with SOG during 1968 in FOB2/CCC near the tri-border area that gave them access to the forbidden areas of Laos and Cambodia. Parnar recounts his time with the recon men of this highly classified unit, as his job involved a unique combination of soldiering and lifesaving. His stories capture the extraordinary commitment made by all the men of SOG and reveal the special dedication of the medics, who put their own lives at risk to save the lives of their teammates. Parnar also discusses his medical training with the Special Forces. During his tour with SOG, Parnar served as a dispensary medic, chase medic, Hatchet Force medic and as a recon team member. This variety of roles gave him experience not only in combat but in dealing with and treating the civilians and indigenous peoples of that area. There is a graphic account of a Laotian operation involving America’s most decorated soldier, Robert Howard, during which Parnar had to treat a man with a blown-off foot alongside nearly fifty other casualties. It is a reminder of the enormous responsibility and burden that a medic carried. This new edition of SOG Medic makes this highly-praised and sought-after book available again once more, with additional photos and maps. Robert Dumont was born in Oklahoma in 1947 and graduated from Tusla University before moving to Brooklyn, NY. 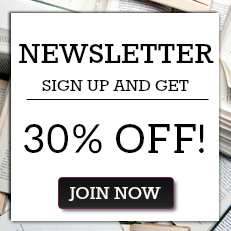 He worked in the General Research Division of The New York Public Library before retiring in 2010. He co-authored Bac Si: A Green Beret Medic’s War in Vietnam (Casemate 2014) with Jerry Krizan and has also written two fiction collections, "Borough of Churches" and "NYC Transit[s]." Joe Parnar served in the U.S. Army Special Forces from August 1966 - April 1969. After military service he became involved in several veterans' organizations. He is a lifelong member of the American Legion and served as Commander of Gardner Post 129 in 1989 and 1990. He is a life member of the Veterans of Foreign Wars, Disabled American Veterans, Vietnam Veterans of America, and the Special Forces and Special Operations associations.